This past Saturday, Neo-Nazis and white supremacists united in Charlottesvile, Virginia. Among their hateful and inciting messages was the chant of “Jews will not replace us” along with racist and anti-LGBT slurs. The Jewish Community Relations Council (JCRC) was created to speak out, and more importantly, to stand up for human rights and build bridges of friendship and trust. 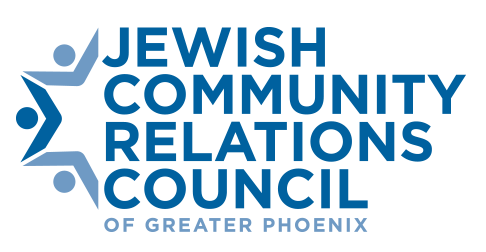 The Jewish Community Relations Council emerged through the efforts of the Board of Rabbis and the financial support of the Jewish Community Foundation. We seek to strengthen our Jewish community through unity and collaboration. We aim to develop relationships and build bonds across our community, working with diverse faith and racial groups toward shared goals, mutual respect, and understanding. The JCRC’s mission is to foster education, dialogue, and advocacy within and outside of the Jewish community and to strengthen our collective voices for justice and humanitarian purposes. As our Torah commands, we do not stand idly by. In accordance with our mission, we are working with the Bureau of Jewish Education to educate our community about important issues involving Race Relations, Immigration, and Health Care. We are partnering with the Muslim community to discuss shared concerns and will be holding an interfaith evening. We are building bonds of friendship across faith lines to address concerns about the quality of public school education. We are participating in Phoenix Police Department’s Jewish Advisory Board to ensure the security of our synagogues and schools while helping officers understand our community’s unique needs. We do not stand idly by. If you are disturbed by this weekend’s events, I encourage you to reach out to us and join with us in acting against hate. Share your voice with ours in speaking with a Jewish lens on concerns to the community. Connect with us online and participate in our launch scheduled for this fall. And know we do not stand idly by.